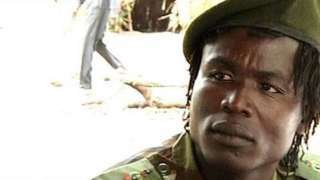 Former child soldier and Lords Resistance Army, LRA commander Dominic Ongwen has today appeared at the International Criminal Court and pleaded not guilty to charges read against him. Ongwen told judges he was a victim of LRA too. Ongwen, the first LRA commander to appear before the Hague based Court said the LRA was responsible and he had also suffered from the atrocities. Ongwen, now in his early 40s, was a boy when he was abducted by the notoriously ruthless rebel cult. He faces 70 counts of war crimes and crimes against humanity in Uganda. Mr Ongwen is accused of leading attacks on four camps for internally displaced people in northern Uganda, murdering and torturing civilians, and forcing women into marriage and children to take part in the fighting. The former commander of the Sinia Brigade of the LRA, allegedly committed the crimes during attacks in Pajule IDP camp in October 2003, Odek IDP camp in April 2004, Lukodi IDP camp in May 2004, and Abok IDP camps in June 2004.